First thing first, huge thanks to Proxima and some1. They’ve provided key utilities and advice for this research. So, yeah, it was really only a matter of time till this kind of thing happened. Sony dont just emulate the userland process of a PSP game, they emulate the entire kernel albeit, a modified kernel. The PSP emu has limited access to hardware, with interfacing the hardware done via a Kermit module. Kermit is a old-timers transmission protocol, likely used to talk to the native Vita. 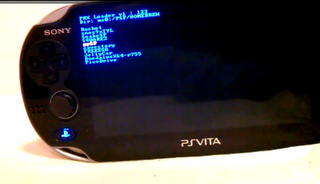 The PS Vita, is a nifty little device, and the PSP emulator is a good target to get a huge library of homebrew. Check out the video below for a demonstration of what can be achieved. You can see, that it works! The benefit is that HEN can access the core of the kernel, allowing almost seamless compatibility. However, as you may know, VHBL cannot run Lamecraft. Nor can this HEN currently. Lamecraft uses the OSK interface which has been replaced with Vita’s OSK. It’s likely a software error in the PSP kernel from the arguements passed in the homebrew. There is other things, and perhaps i’ll make a post for them another time, but for now, later.